Summer is in full effect over here in SoCal, and we're feeling all kinds of vibrant this season! 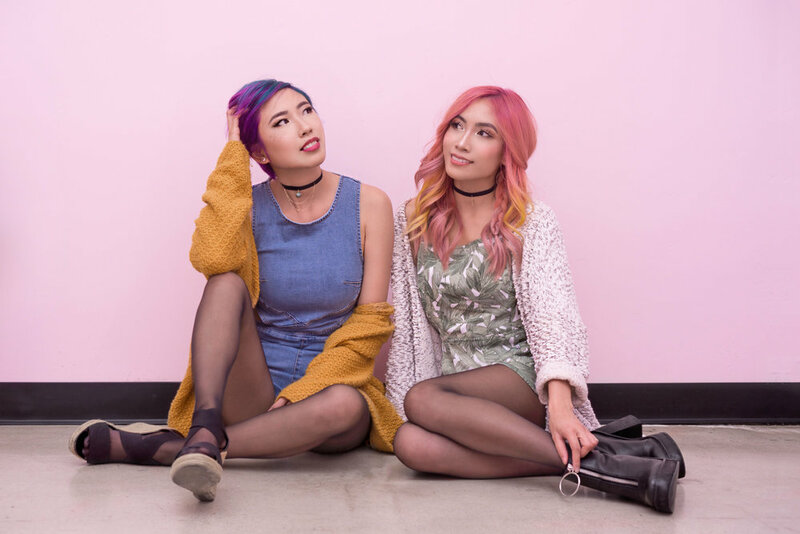 So was our stylist, Kristina, as she transformed our look to match our colorful souls with Wella Professionals' Color Fresh Create. This semi-permanent color collection has 12 gorgeous shades plus a clear shade. The colors' ability to mix and blend creates the perfect opportunity to come up with some epic color combinations. Case in point, our new 'do with beautifully vibrant colors blending into each other. 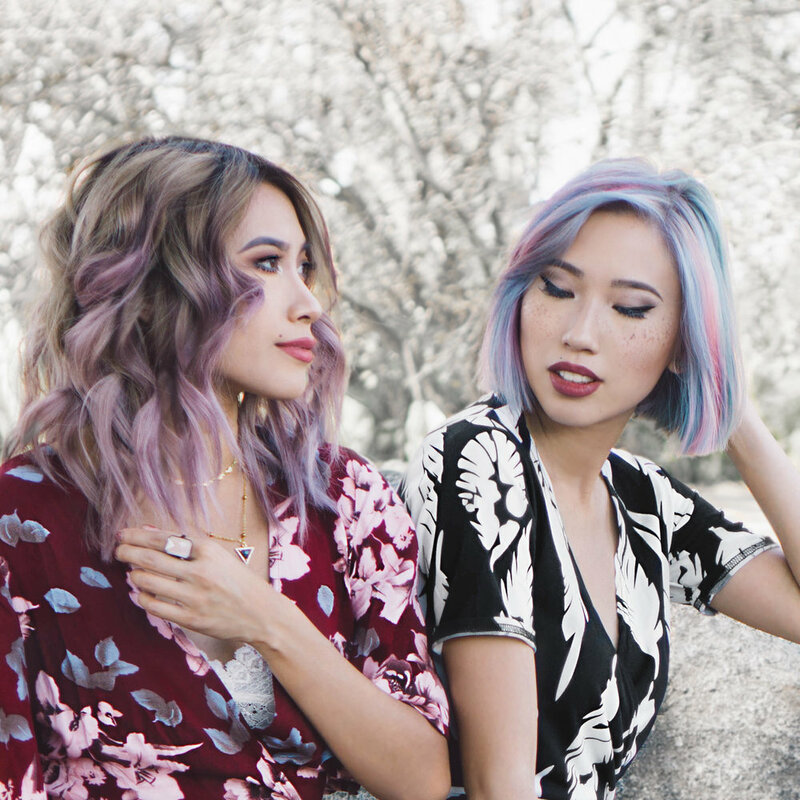 Color Fresh Create produces amazing tones whether they're bold or pastel. 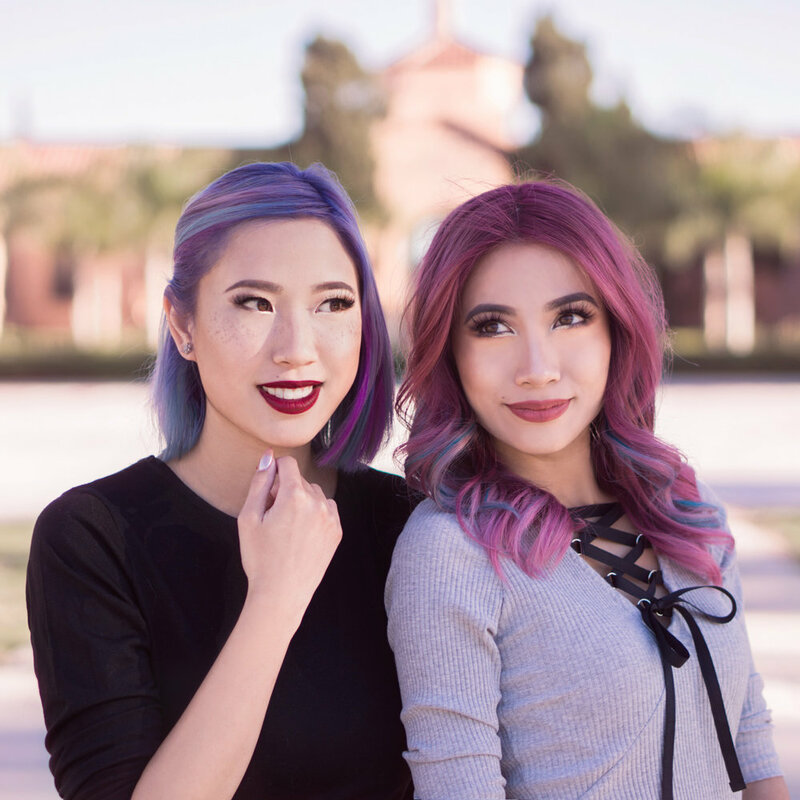 When it came time to freshen up our hair and choose which colors to use, we knew that we wanted all kinds of tones incorporated into our look. It's only fitting as we live in a beautiful place with colorful people and a city life that especially shines during summer. We knew our stylist Kristina would create the perfect summer shades and let her take the reins from there. Giving a stylist creative control definitely requires a solid stylist-client relationship, and it's so important to have when it comes to transforming ones look. Having such a relationship ensures that you can communicate with ease what you want and what you don't want. Trusting your stylist to create a look that suits you will never have you wondering whether or not you'll leave the salon happy or unsatisfied. So it was no surprise that when saw our new colors all we could think was, PERFECTION! Kristina managed to incorporate so many colors and create two beautiful looks. One that's bright with the loveliest combinations of warm and cool hues, just like our summer skies right before sunset. And another that's darker with pops of color, the perfect tones to express the liveliness of our city's night life. Speaking of tones, to make things even better, it has true-to-tone fading and can last up to 20 washes! We've had our fair share of bad color fades, so we're so glad we can wash our hair knowing it'll still come out looking flawless! For more info on Color Fresh Create application and processing, visit the Wella Professionals website here! and Conditioner to protect the color and keep our hair strong from the inside out. We all have those days, we tell ourselves that we'll get out and be more active but find ourselves binge watching yet another Netflix series 🙊 Well, were finally able to become more active thanks to Carbon 38's Hero collection. Yes, we were horribly out of shape but this collection made us feel so badass! We all have those moments when we're looking for something to wear. We sift and sift and sift some more through our closet, only to throw our hands up and yell, "I have NOTHING to wear!" Obviously this calls for a little shopping spree 😉 We're so lucky to have a local shop, mimi & red that's hands down, a one stop shop where we can find everything we need for a stylin' filled weekend, and not to mention they have the cutest and latest trends! The proof is in the pudding, check out how we spent a weekend decked out in apparel & accessories from mimi and red! Every now and then a gal just needs some proper basics in her wardrobe. We found some amazing basics that will make you look like a million bucks, but you barely have to spend $20! Check out some of our favorite basics that we found from Shein! We've recently been obsessing over ruffles and all things flowy 💕 Makemechic did not disappoint when it came to their selection of flowy dresses and all things frilly. These are a few of our favorite finds! And just like that, the weather here in San Diego went from warm summer weather to chilly sweater weather! Talk about moody mother nature 😏 But what better way to transition into the new season than with some lush velvets from SheIn! Yes, it's safe to say that we're kind of sort of obsessed with Fall florals at the moment. But how can you not be when brands like ROMWE have such great selections of floral dresses!! Plus, the weather here in Southern California doesn't seem as though it wants to get rid of Summer, so these lovely slit dresses have been absolutely PERFECT for us! It's finally starting to feel more like Fall over here in sunny San Diego, but that doesn't mean we're tossing all of our florals out the window! Quite the opposite actually, we've been stocking up on some of our favorite Fall florals from Shein. We recently got the chance to get our hands on some rad apparel from Hibeko. And let's just say these pieces aren't your average clothing. Each piece is handmade by the owners, located in Los Angeles. And let me tell you, there is just something different and amazing when it comes to something handmade, we found that these were some of our favorite outfits ever! One of our favorite things about doing what we do is being able to connect with other local creatives and hear about their story. Most recently we had the pleasure of working with ModerNation, an online marketplace for curated vintage and upcycled apparel for earth conscious shoppers. ModerNation’s designers are all about sustainable solutions and we absolutely love their ability to create upcycled eco-friendly pieces with a contemporary vibe! 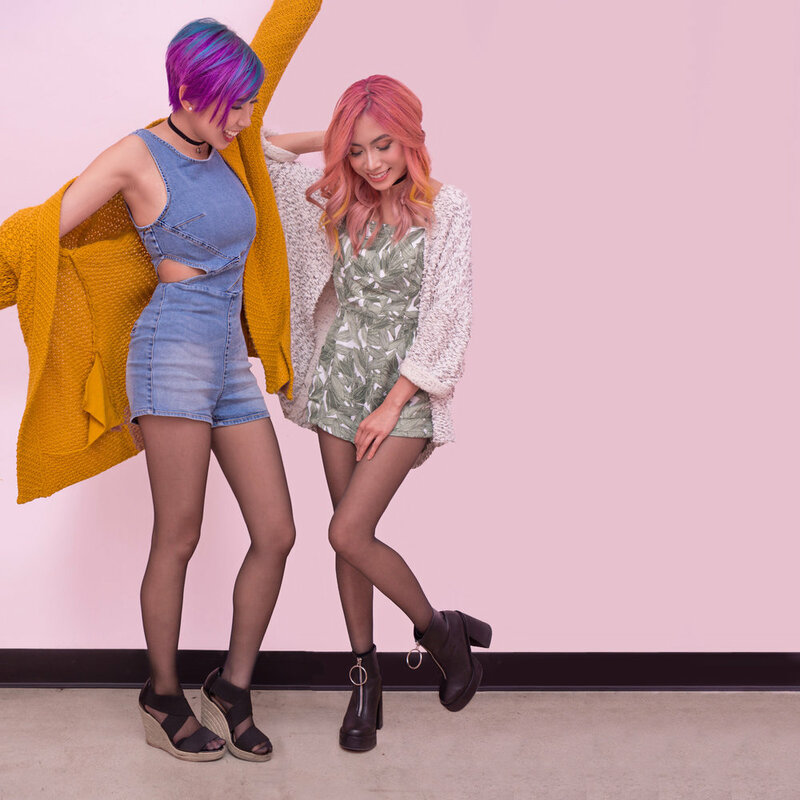 All their apparel is made using deadstock, unique vintage, and sustainable materials thus usually making their pieces one-of- a-kind. 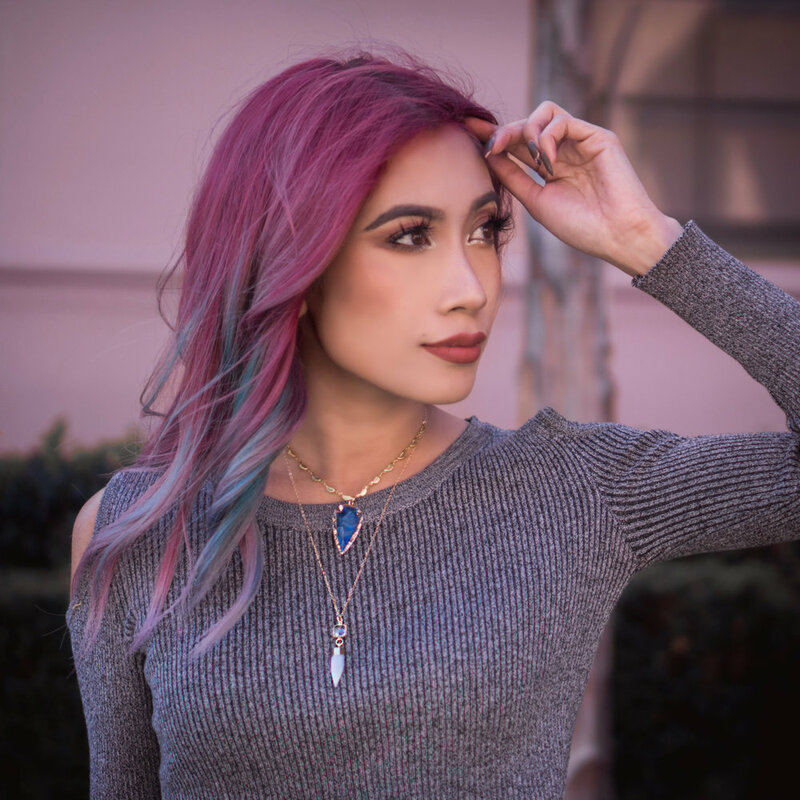 Check out some of the amazing pieces below that Meg got to shoot for ModerNation and be sure to check out more here! Apparel isn't the only thing that needs updating this summer! Accessories, especially the ones that help you see these trends in the first place, need some attention too this season! We found some of our favorite eyewear styles from Warby Parker. From chic to sleek, you name it, you can find tons of great styles. Even better, you can try them on at home to help you decide on that perfect pair! Meg sporting the Chelsea frames, we love the way clear frames can add that little touch of chic to a look! 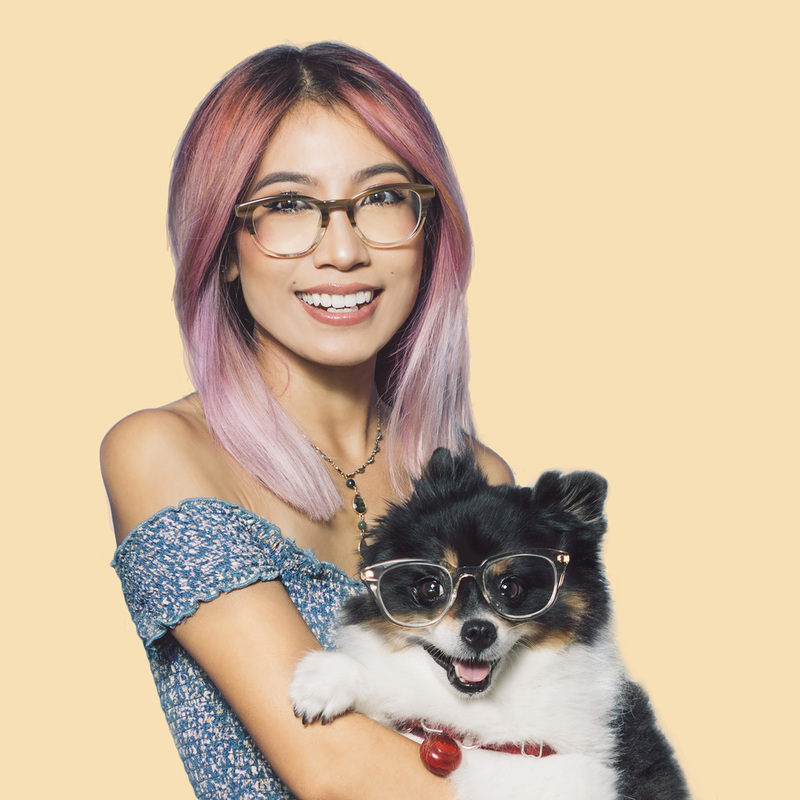 Sharing the eyewear love with our pup, Layla! Mel wearing the Holcomb frames. We dig the sleek and subtle cat eye shape these frames have! Izzie looking super smart in the Holcomb pair. Layla on her way to the library to read up on Hibernation 101. Our summer collection looking sophisticated and pretty! Staying comfy in style, that's what comes to mind when we think about some of the latest Dickies Girl apparel. We love the new modern looks that keeps you feeling stylish while staying true to that Dickies comfort and charm! It was instant love the moment we put on our activewear from Carbon38. We couldn't get over the fact that they're incredibly comfy AND each piece is so unique. We found that we could easily wear our pieces out and about for errands and what not. We like to call it active-chic! These eco-friendly swimsuits from Wolven Threads are seriously giving us all kinds of good vibes! Ever feel more motivated to stay active because you just slipped into some really rad activewear? Or is it just us? Either way, we wanted to share with you some of our favorite activewear from Reckless Girls! Trust us when we say that these pieces are just as stylish as they are comfy! Planning on going to weekend 2 of Coachella but you still don't have anything to wear? We got your back with some of our favorite festival outfits from Graffiti Beach. They have so many great pieces you'll actually be glad that you waited until now to shop! You can shop these looks at GraffitiBeach.com or if you're in San Diego, stop by their shop on 2220 Fern Street!